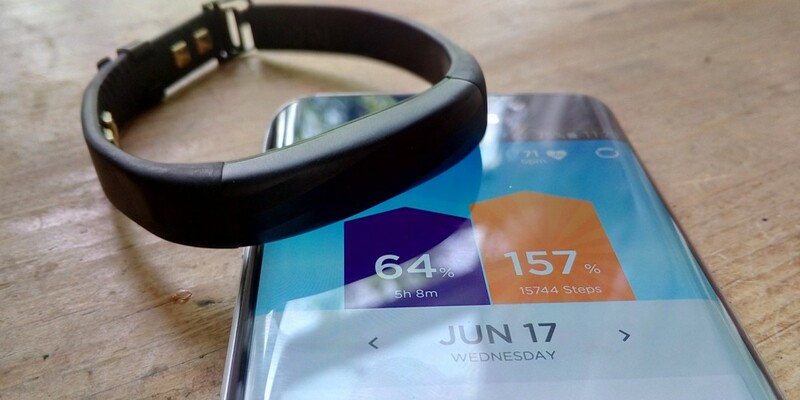 Activity trackers are now well and truly a part of every day life. A year or two ago, when I’d test a wearable device, people would invariably ask what it was and what it did. Now, not so much; they’re a dime-a-dozen. The UP3 from Jawbone is the company’s all-singing and dancing model, which promises to make you healthier by giving you data about your every waking (and sleeping) moment. As a previous UP24 user, I had some idea of what to expect: tracking of steps, the ability to add specific exercises and workouts, sleep tracking, a section to monitor food intake (that never seems to get used) and, new for the UP3, resting heart rate measurement. That last feature is really the key differentiator between the UP3 and some of the other models in the range, and other manufacturer’s devices. Right now, you can’t use it for on-demand heart rate measurement though. The UP3 is very similar to the rest of the new UP range in terms of design. That means that the crossing arms of the UP24 and earlier models have been replaced by a watch-like buckle system. On the positive side of things, this gives the device a slimmer profile and makes it more comfortable to wear. With the UP24, I’d often find myself taking it off when sat at the desk for hours on end as it was uncomfortable to wear while typing. 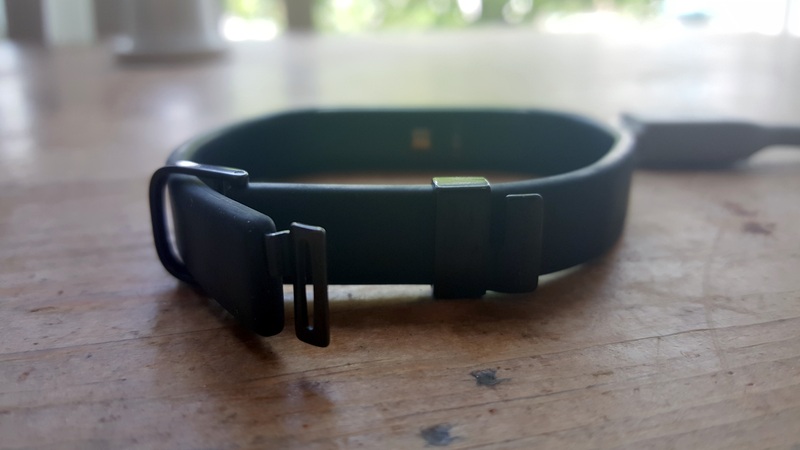 There’s no need to do that with the UP3, or to choose a specific size (one-size should now fit all) but the downside is that during the couple of weeks I’ve been wearing the device, it has unclasped itself and fallen off my wrist six or seven times. Thankfully, I’ve always noticed it happening but if I hadn’t there’s a good chance it would be lost on a pavement somewhere by now. You attach it by slotting the rectangular metal section on the strap into the perfectly -sized clasp on the strap, which you can slide up and down to help it fit to your wrist more closely. After the buckle undid itself for the second time, I wondered if perhaps it was a bit too loose and was moving around excessively. After adjustment, and it nearly falling of numerous more times, I realized it wasn’t down to the fit, it just seems to eventually work itself free. Just when I was wondering if I had gotten past the problem – as I was writing this – it fell off again. Due to the change in design, the UP3 no longer has a button to switch modes on one end. Instead, you now just tap the touch sensitive face of the device to switch between ‘activity’ mode and ‘sleep’ mode. The UP3 doesn’t have a wealth of workout modes to switch through on the hardware, but you can log various activities in the app – it also promises to automatically recognize a range of activities too, like running, walking (both of which worked), playing tennis etc. It then prompts you to log the data in the accompanying app, with a little box asking something like ‘We’re you running for 45 minutes between this time and this time?’ Tapping that adds that workout to your history, making it pretty straightforward to log additional activities with minimal fuss. Tapping the top of the band wakes it up, touching (and holding) it once more switches between sleep and activity mode. When exiting sleep mode, you can just get up out of bed and start moving around and it will exit sleep mode for you. To get a true measurement, the reading needs to be taken while you’re asleep, before the stresses of the day hit you. In future, an over-the-air update will allow the band to provide on-demand and other scheduled heart rate readings too. 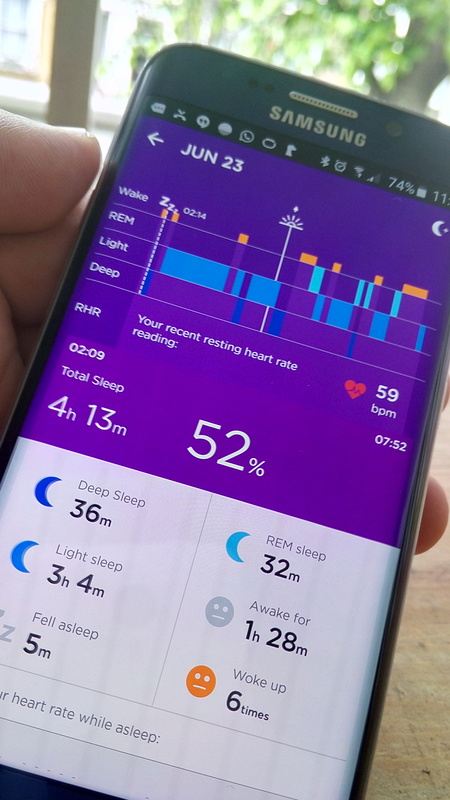 As with some other models, the band tracks different stages of your sleep, but now include REM, deep and light sleep phases for more accurate tracking. As part of the redesign, the charger is now a magnetic attachment on the back of the main band controls. I’ve found charging it while sat working at my desk works best (in terms of not missing out on activity tracked), but battery life is good anyway. You can expect six or seven days of use before you need a charge, from my testing. 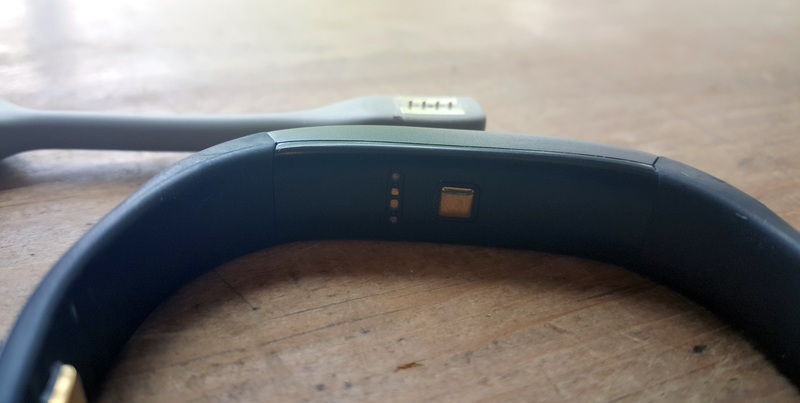 Jawbone had originally intended to make the UP3 fully waterproof, but hit manufacturing snags that forced it to downgrade those ambitions. As a result, the UP3 is ‘splashproof’ rather than waterproof. I used it in the shower multiple times with no problems, but wouldn’t advise that you go swimming while wearing it. The problem – and benefits – of the UP3 (or any activity tracker, really) come from the data it provides – if you really want it to change your life in any meaningful way, you’re going to need to put in the effort to understand the data, and how it relates to your health. Thankfully, Jawbone has done some work in this area in its app, and now provides better, more detailed insights related to your own personal data. For example, it told me yesterday that I’ve had a particularly sedentary few days and am well below my own average daily step counts. That’s more useful to know than I’ve simply walked x thousand steps today. It’ll also deliver insights around water intake, exercise and a variety of other lifestyle elements – the important thing here is that it suggests understandable and actionable recommendations, rather than letting you interpret it from cold, hard data. It’s not perfect, and can’t say, recognize that you’re more active on days when you have a higher water intake, or tell you that you run further on Wednesdays than you do on Mondays, but perhaps one day it’ll be smart enough to draw these sort of insights. What it can and will give you right now are suggestions like putting in ear plugs before you sleep to maximize REM sleep, if you’re running a little low. 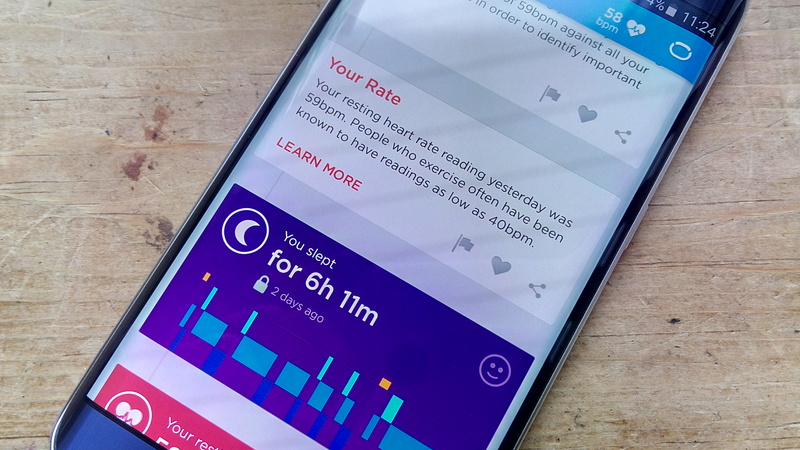 With continued use (and through further updates), I’d expect to get more personalized recommendations, like the app telling me to get more sleep because my resting heart rate is deviating from my average range. Whether or not you need an app to tell you that you feel tired is a different question. The UP3 costs $180 in the US, and will be £150 (or thereabouts) when it launches in the UK sometime next month, which makes it one of the more expensive activity trackers on the market. With rivals offering the same core feature – tracking of steps and activity – the difference in price will be a hard-sell for a first-time user of a device like the UP3. 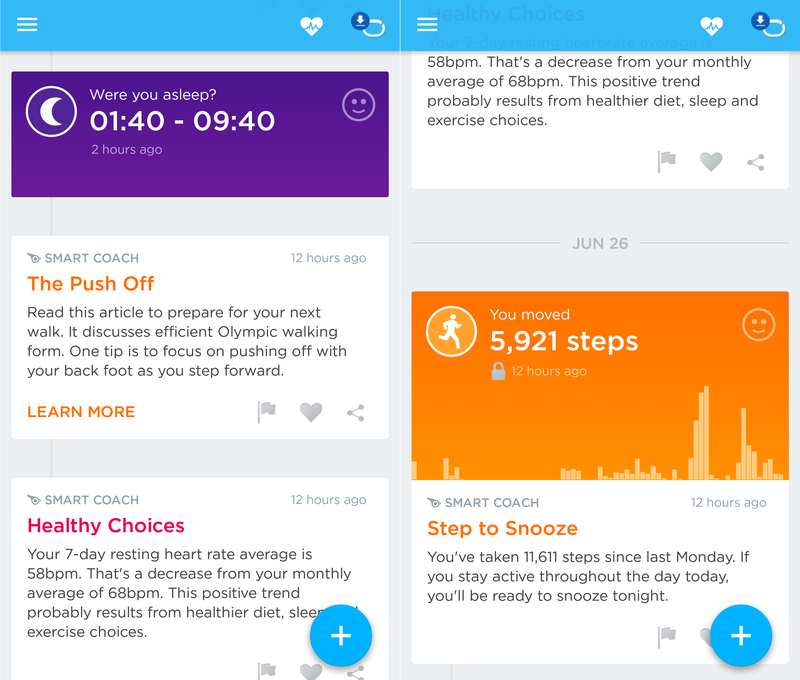 However, anyone who has used a sub-par acitivty tracker knows that the quality of the insights and app make the difference between it being genuinely useful, and just a simple pedometer. 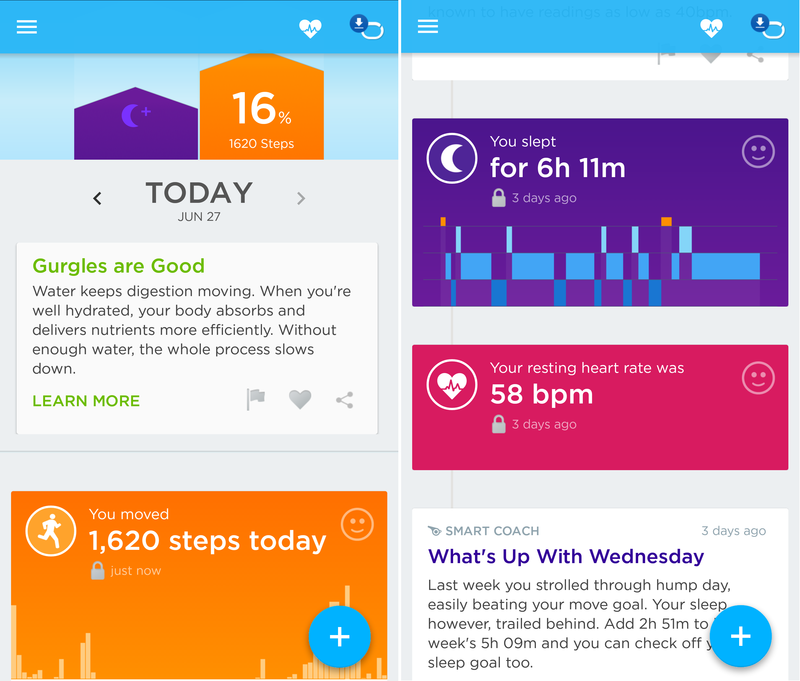 On that front, the UP3 benefits from the well-designed and fully-featured UP app available for Android and iOS devices. It might not be as smart as I want it to be right now, but it’s a long way ahead of any apps that provide nothing but raw data. 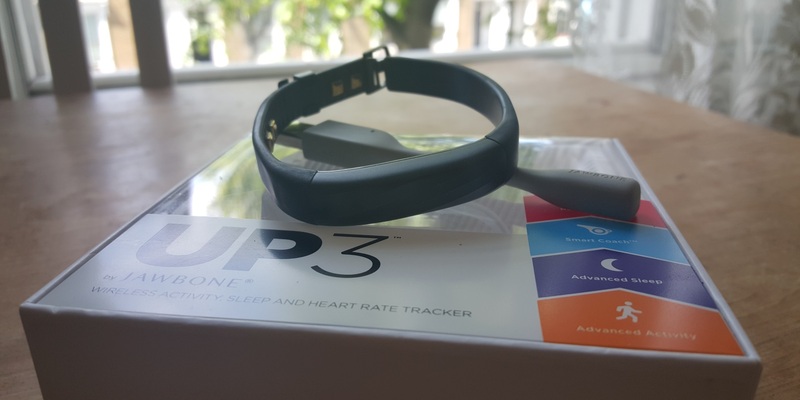 If you’re interested in the general idea of ‘the quantified self’ and looking for a way to get a great general view of your personal activity and health data, then the UP3 can provide that, at a price. It’d be better if you could use the heart rate measurement in other scenarios, but with that promised in a future update, it’s not too much of a reason to discount the UP3, even for fitness or sports fanatics. I’m looking forward to using it more to see what else I can find out about myself over a longer period of time, but it’d be nice if it didn’t fall off my wrist once a week.